I shared this printable last year. But it was just to cute to pass up for this year! 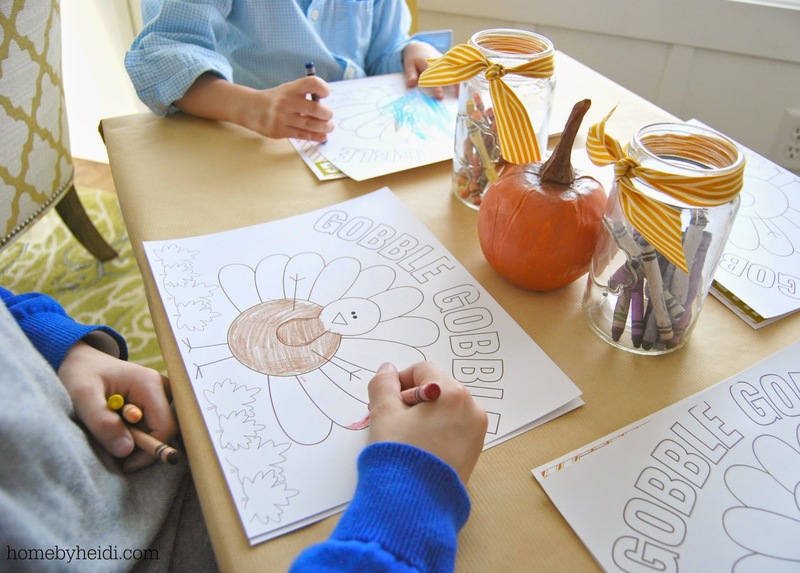 Its a perfect activity to give the kids when the food preparation is in full force. 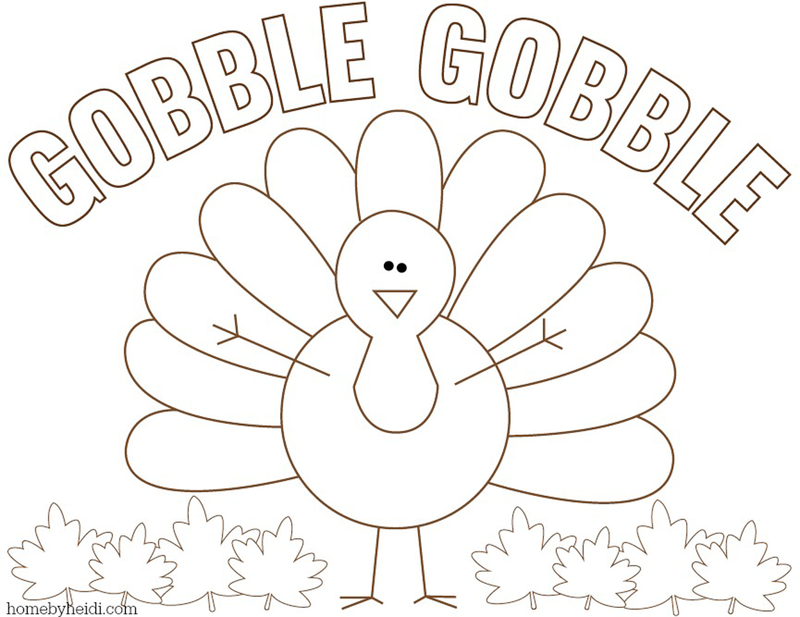 I am LOVING all the fun Thanksgiving happiness going on around me! 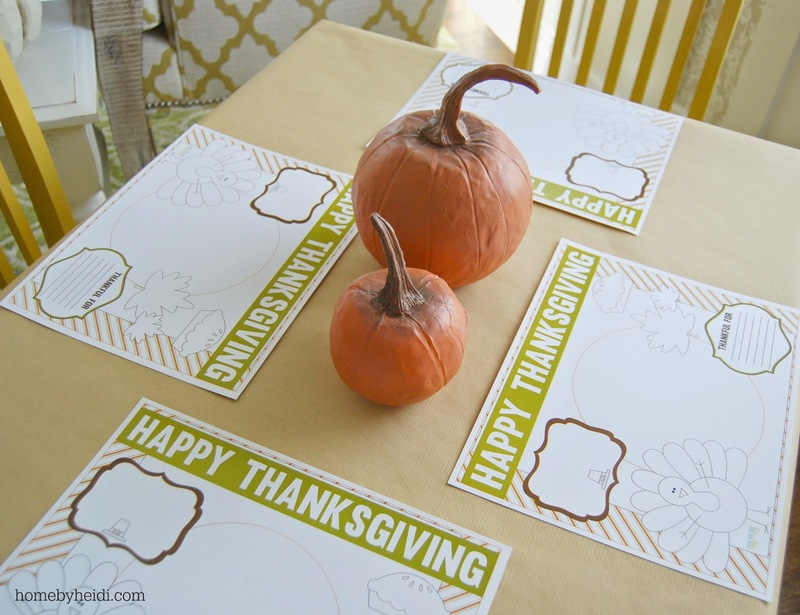 Here is a recap of my 2014 Thanksgiving table (see HERE if you missed it)! Entertaining the kids is a MUST!!! She has the CUTEST Etsy shop and Blog!!! Thank you! 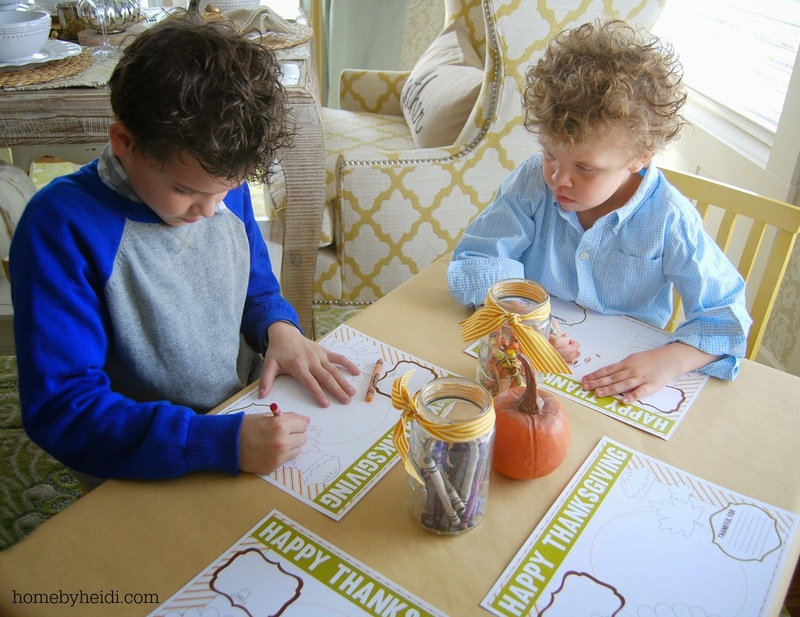 I have printed some adult Thanksgiving coloring pages and wanted this exact place-mat for the kids table. Perfect!